Not that the recipe itself was so hard to make. It definitely had more steps than I'm used to lately. And it had some techniques I haven't tried before--weighing down the rolls with a Pyrex dish comes to mind. 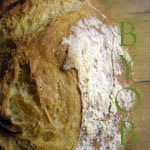 But, really, the challenge, for me, was to make something I've never tried before, and, quite frankly, never really had the inclination to. Let me tell you, I did NOT feel any more inclined toward this after smelling the grape leaves. Picture driving near the ocean on a really humid day. The kind of day where the ocean doesn't smell fresh and clean anymore--it smells salty and fetid. I remember those kinds of days back when I lived on Long Island--when I would be driving down by the beach and think, "My goodness, something smells rotten!" Yeah. That's how the grape leaves smelled. And THEN, as I'm carefully pulling each leaf apart from the others, since they were packed so tightly in the jar, I find a dead, preserved ladybug. I'm not kidding. There was no mistaking what it was. It was still intact, and red and black (though the red had slightly faded). At that point, I seriously considered scrapping the whole project. But, I found the insect on the very last leaf I had unraveled, so I trudged on and tried not to think about it too hard. The results were, well...disgusting. I'm sorry. I understand that this might have been to some people's taste. It just wasn't to mine. The whole house reeked from the grape leaves, and you can't taste without using your nose. The texture was okay, but it was just a spiced meatball wrapped in an unappetizing leaf. No thanks. I hope everyone else had fun with the challenge, and that their results were more pleasing to their palates. As for me, I'll try next month's challenge and see where it takes me. I guess Daring means risking failure or disappointment. The recipe worked just fine, it was just my personal preferences that failed me. Better luck next month, I guess. Hello and welcome to the Daring Cooks' and congrats on your first challenge. Sorry to hear that you didn't like them very much but at least you made them well. Yes you are right you cannot like all the challenges, maybe using cabbage leaves instead of vine leaves would really help a lot. Cheers from Audax in Sydney Australia. Oh, man, what a tough result for your first challenge. I am pretty sure that that ladybug would have completely derailed me, too. I, too, am not a huge fan of grape leaves, but tried the challenge anyway. I think I may try it again, but in cabbage leaves. Welcome to the Daring Cooks and just know that each month brings something completely new and completely different, so here's hoping the next one is something you LOVE!! Welcome to Daring Cooks! Is it crazy to say that I want to see a picture of that ladybug? It made me laugh! I hope next month's challenge is more to your liking! Oh bummer! Not everyone can like every food, but if you ever come to L.A. remind me to get you some good sarma ;) I've heard that there are some brands of grape leaves that are horrible, so maybe you just got one of those (or, maybe you just don't like them at all - anything's possible!) I don't know how you stuffed them, but we put the same filling (basically tomato, rice, meat and other yummies) in bell peppers, zucchini, eggplant or tomato. 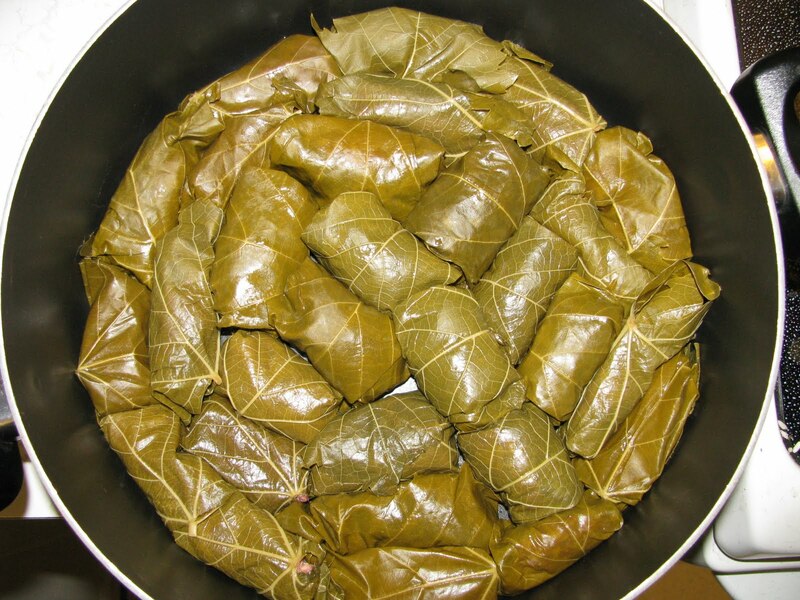 Any variation of that, including the grapeleaves, are called "dolma". I prefer dolma with plain yogurt, but that might be an acquired taste ;) In the last few years I have also added a new FAVORITE recipe to my repertoire: http://www.foodandwine.com/recipes/sweet-onions-stuffed-with-spiced-lamb bon appetit Allison!